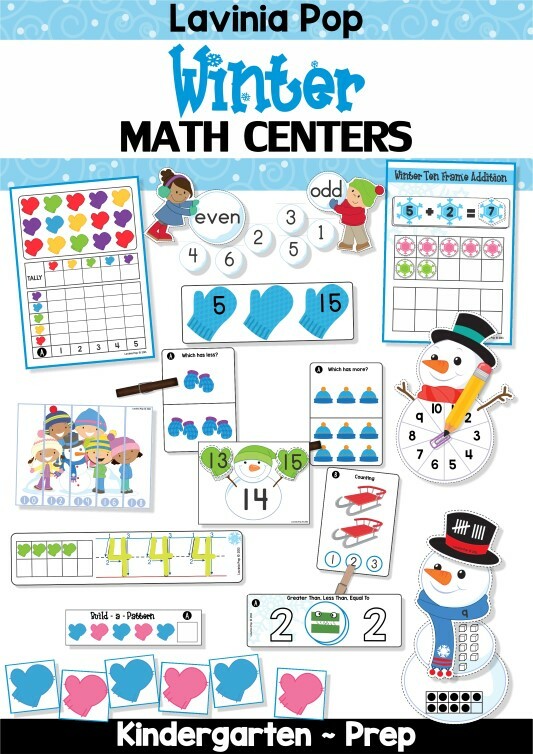 Here’s a sneak peak at the updated Winter Math Centers for Kindergarten packet. PLEASE NOTE: This blog post contains sample pages from my Winter Math Centers for Kindergarten packet. You can download the free sample pages by clicking on the photos. 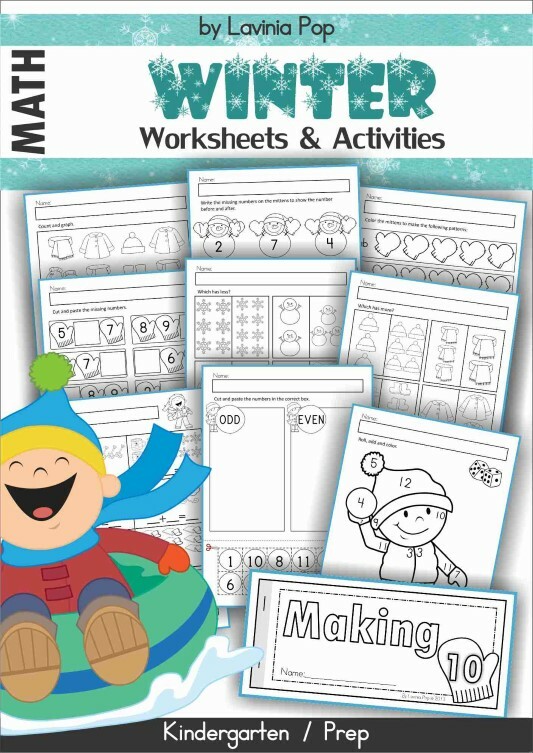 To purchase the complete Winter Math Centers for Kindergarten packet, please click here! 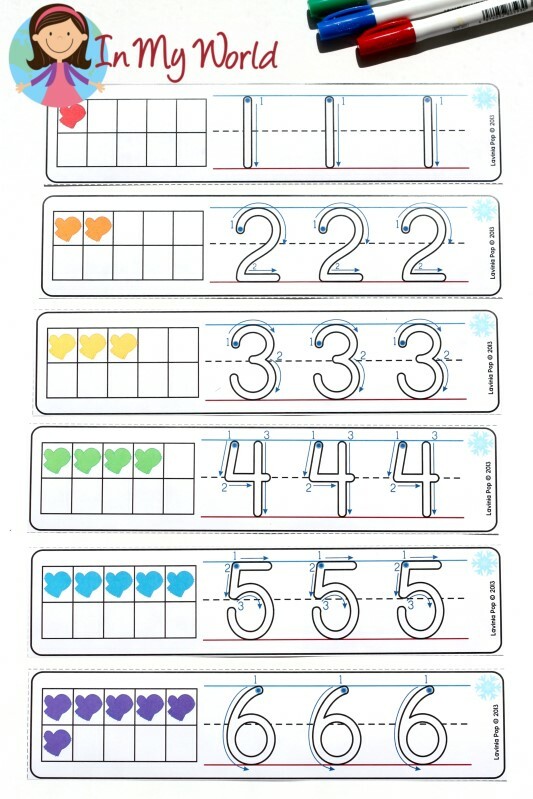 children can use dry-erase markers to color the correct number. or below the middle line contains the most items. or below the middle line contains the least number of items. for children to identify the number that comes before and after the number on the big cards. and write it using a dry-erase marker. which picture goes in the empty square to complete the pattern. To prepare the activity for use, print, laminate and cut out all the cards and answer pieces. tokens on the 10 frame mat provided. to sort the number cards to the correct mat to show whether the number is even or odd. is for children to identify which number is greater, which is less or whether they are equal. aim is for children to arrange the puzzle pieces in numerical order to reveal the picture. pencil in the middle of a paper clip and spinning the paper clip with your finger. take away the number of tokens spun. They then record their answers.